Deadline for Scribal Retreat Signup Is Soon! If you are an Æthelmearc scribe — or have always dreamed of becoming one! 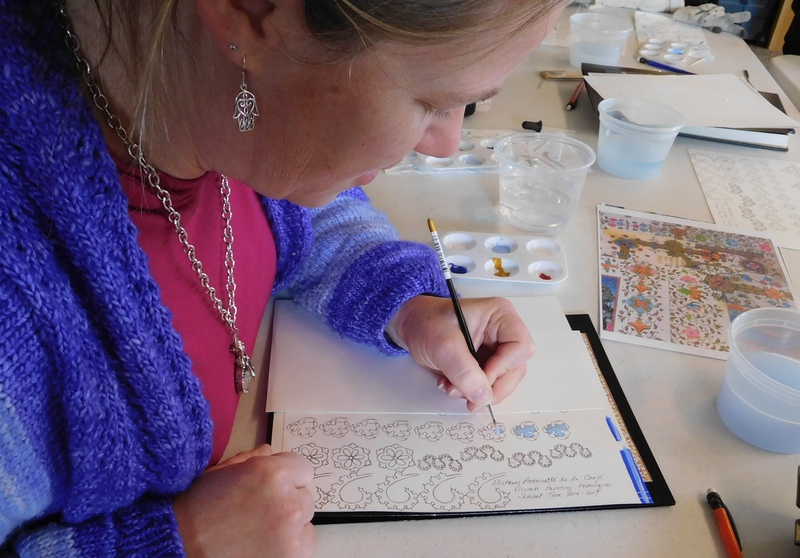 — YOU are invited to come and relax and share time with other artists at our first Æthelmearc Scribal Retreat. This gathering is open to ALL who delight in the scribal arts, no matter whether you have been a scribe for decades …. or days! The retreat, hosted by the Shire of Abhainn Ciach Ghlais, will be held at the Forest D. Brown Conference Center, 384 Dieffenderfer Road, Lewisburg, PA 17837. The site opens at 5 PM on Friday, March 23, 2018 and closes at 5 PM on Sunday, March 25, 2018. The site is accessible for those with mobility concerns. There is no site fee to attend this event; however, bunk space is limited, so reservations are required. Deadline for reservations is March 15. Bunks are equipped with mattresses, but overnight guests will need to provide their own sleeping bags, blankets, and pillows. There are separate men’s and women’s bathrooms with showers plus one separate unisex bathroom. Note that cell service at the site is limited. NOTE: If you require a bottom bunk or a bunk near an electrical outlet, or if you have mobility concerns, please mention this when you make your reservation. The meal plan is not required but if you are bringing your own food, you will need a cooler, as fridge space is limited. In addition to a stove, oven, microwave, and toaster, the kitchen has basic dishes/silverware and limited cooking utensils. Hot beverages, including coffee and tea, will be available throughout the weekend. Please bring your favorite mug. If possible, please carpool, as the parking area only accommodates 25 vehicles. Please do not park or drive on the lawn. NO pets of any kind are allowed inside the building with the exception of service animals. Smoking is NOT permitted inside the lodge or within 25 feet of the entrance. Individuals smoking outdoors are responsible for disposing of cigarettes properly. The autocrat for the event is Nichola Beese (Nicola Kendall) 3018 Riverview Ct, Aliquippa, Pa 15001. Phone 757.575.6008. Please email or call her if you need additional information. Find your best route to Lewisburg PA. Proceed on Route 192 West for 8 miles. Immediately after crossing the bridge into the village of Cowan, turn right onto Church Street. Go approximately one block and turn right onto Dieffenderfer Road. The Forrest D. Brown Conference Center is the building at the end of the gravel road.